What is Australia–China Career Expo? Based on education, training and employment, Australia-China Career Expo is a comprehensive career exhibition. Collaborated with City of Melbourne, this FREE career event has been held since 2017. A vast array of career opportunities and up-to-date career information are provided for your next career move. So whether you are still in school or a graduate or planning for a career change, you are welcome to join us for the event. In 2017, Australia-China Career Expo attracted over thousands of attendees to the events in May and October. Partnered with major business organisations and University clubs in the local Chinese community, the event aims to create more career potentials for job seekers with international background. 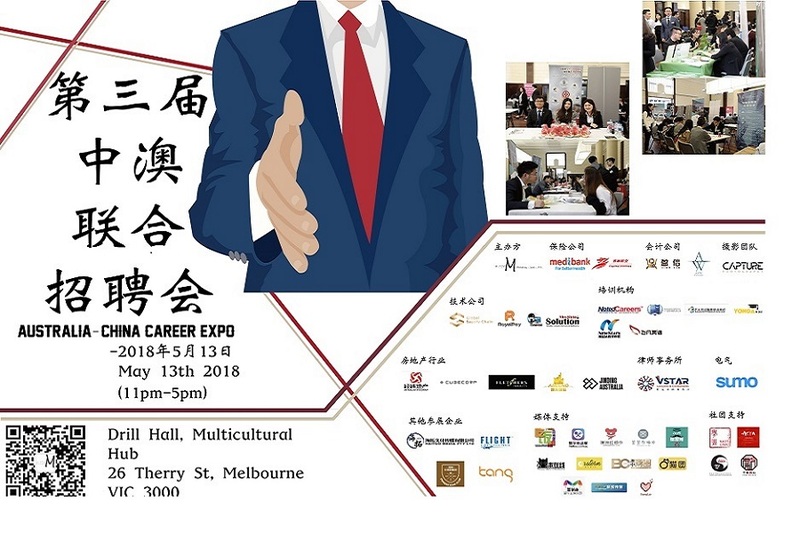 NotedCareers is proud to be one of the sponsors for 2018 Australia-China Career Expo. Make sure visit our stand if you are there. Our principal career managers will be at the event to answer your career concerns. Plus, we will be giving out FREE resume check and career consultation ticket. So don’t miss out! Can’t find your ideal job position? Don’t know how to manage your career path? NotedCareers is here to help. Our career consultants will guide you step by step and we promise for your success. To find out more about how we can assist you, talk to us during the event or contact us via 1800 326 422 or send your enquiries to careers@notedcareers.com.au now.